Easily digestible by nearly everyone! 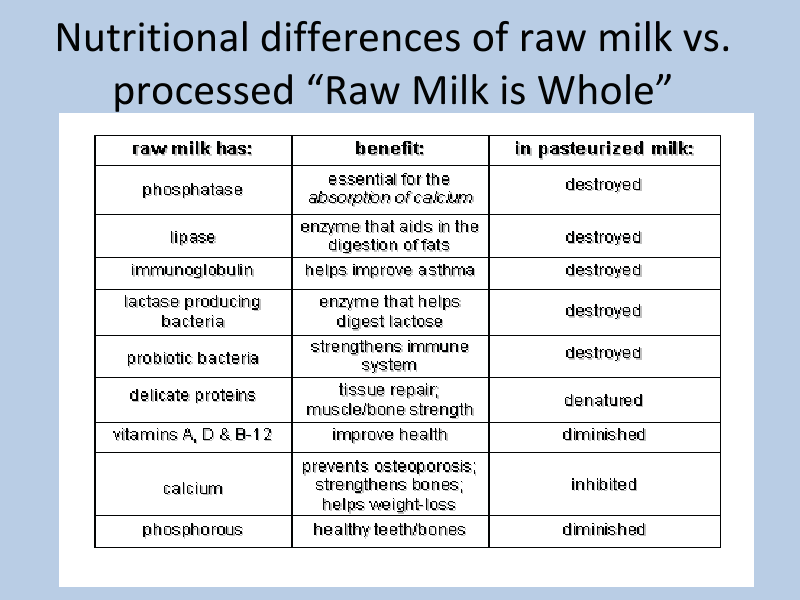 If you read the FDA’s The Dangers of Raw Milk brochure,they claim that, “Pasteurization DOES NOT reduce milk’s nutritional value…Pasteurization DOES kill harmful bacteria.” Hmmm, notice how they don’t’ say anything about the helpful bacteria? Next up: “Pasteurizing milk DOES NOT cause lactose intolerance and allergic reactions.” Tell that to the hundreds of Mark’s Organic Pastures’ customers who say otherwise. By this point in the presentation, I could feel my previous hesitation and squeamishness surrounding raw milk dissipating. Everything Mark was saying just made sense to me. Join us tomorrow for the third and final installment of this series on raw milk. 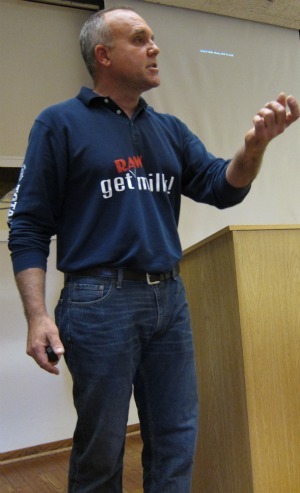 Part 3 will investigate the negative sides of dairy pasteurization, my overview of Mark’s presentation, and how you can find raw milk in your state. Have I piqued your interest?